This year's stars, who appeared on three covers: Channing Tatum* (once as Lego Superman) and Wonder Woman (twice as Gal Gadot, once as a Lego). I don't use traditional eligibility rules for my lists - I tried, but it got too confusing to balance US and UK release schedules. So this is based on films I saw during 2017 that were screened to paying audiences, either in regular cinemas or at film festivals. My top film this year is simply the one I couldn't get out of my head. It had a visceral impact while I watched it, and has lingered ever since. I feel like it's one of the most important films made anywhere in recent years. Intriguingly, this is the second year in a row in which a Chilean filmmaker made my best movie of the year. dir David Ayer; with Will Smith, Joel Edgerton 17/US *. Perhaps there was something interesting in Max Landis' script for this fantasy cop thriller, but director David Ayer brings his usual sledgehammer approach, obliterating any character nuance or plot intrigue with a barrage of bullets, explosions and relentless machismo. The one decent twist in the tale is badly telegraphed from the start, and it's all so blunt that it leaves the actors lost. Smith can survive this kind of thing with his wits, but Edgerton's excellent acting chops are swamped by his excessive makeup. This eliminates any chance of proper camaraderie as they play human Ward and orc Jakoby, cops partnering in a parallel reality Los Angeles in which a psychotic elf (Noomi Rapace) is plotting to resurrect a dark lord, but first needs to track down her missing wand, which can only be touched by a bright like the young Tikka (Lucy Fry), whom Ward and Jakoby have rescued. Along with endlessly dull mythology in the dialog, scenes are packed with incoherent chases, shootouts, fights and lots of magical nonsense. Even the solid cast, which includes Edgar Ramirez, Jay Hernandez and Margaret Cho, can't save this one. A chillingly original take on the coming-of-age story, this French drama takes a series of almost outrageously gruesome twists and turns. There's a dark undercurrent of meaning here, but writer-director Julia Ducournau seems mainly interested in freaking out the audience with some extreme femininity. It's the story of teen Justine (Marillier), who is enduring a particularly painful week of hazing as she starts veterinary school, following the footsteps of her big sister Alex (Rumpf). A strict vegetarian, the worst thing for Justine is being forced to eat a bit of raw meat. And she's horrified to discover she now has a craving for meat, including the human kind. Ducournau kind of taunts the audience with unfinished scenes and lots of waking up unaware of what happened the night before. But the film is gleefully grisly and darkly provocative. A true original. dir-scr Kleber Mendonca Filho; with Sonia Braga, Zoraide Coleto 16/Br ***. Brazilian filmmaker Mendonca isn't terribly subtle with this over-long drama about the clash between old-world humanity and present-day commercialism, but the film has a loose energy that makes it worth a look. And Sonia Braga shines in the central role. She plays retired journalist Clara, a woman who has had a long, full life then finds herself the last occupant of the seaside apartment block in Recife where she raised her children with her late husband. Now she's the only thing stopping the developers from knocking down the building so they can construct a gleaming tower in its place. But she has no intention of going, so simply gets on with her life, spending time with her friends, children, grandson and a favourite nephew, continuing her lifelong bond with housekeeper Ladjane (Coleto) and enjoying her extensive, eclectic music collection. All of this meanders a bit, and the final act feels both heavy-handed and oddly unfinished. But watching Braga is sheer joy. dir-scr Brett Morgen; with Jane Goodall, Hugo van Lawick 17/US ***. 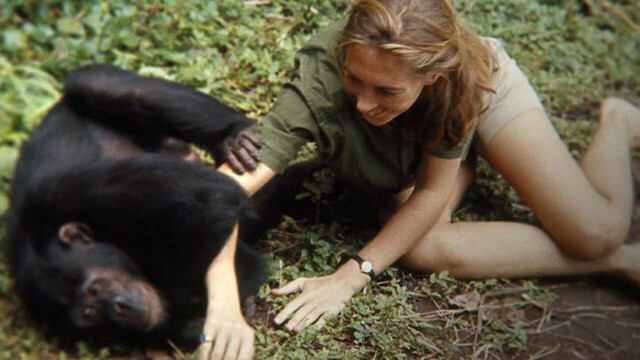 Using a treasure trove of unseen footage from the early 1960s, this documentary traces the life and pioneering work of Jane Goodall. It's fascinating to watch her as an untrained 26-year-old head into the wilds of Tanzania with only her innate curiosity and patience to work with. She was specifically selected for those qualities - and for her lack of scientific education - and as a result her observations of chimpanzees told the world things no one ever knew, in the process changing the definition of what it means to be human. This may not be a particularly original observation, but filmmaker Brett Morgan assembles this doc beautifully, making the most of the footage skilfully shot by Goodall's husband Hugo van Lawick. And since it's narrated by the luminous 83-year-old Goodall herself, it's full of pointed personal commentary. Her life journey is moving and important. dir Jairus McLeary, Gethin Aldous; with Brian, Charles, Dark Cloud 17/US ***. 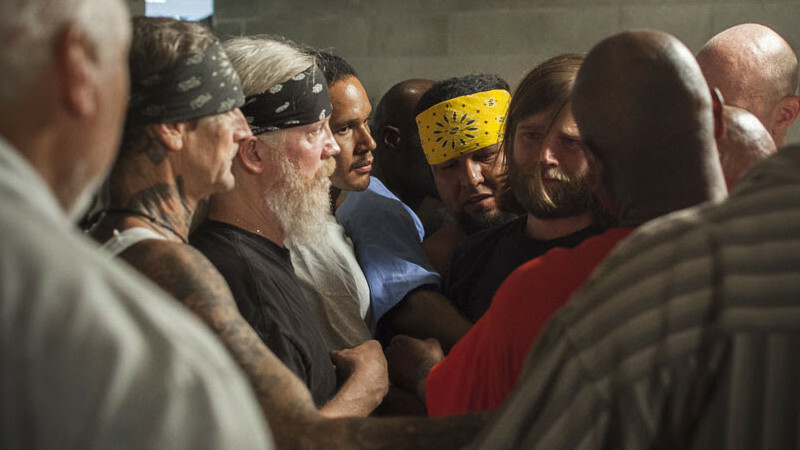 There's rather a lot of navel gazing in this involving documentary about a group of men working through their deep-seated issues in a California prison support group. Intriguingly, the film follows several non-inmates as they join the prisoners in Folsom and find themselves right in the middle of the cathartic experience. All of these men have serious issues with their fathers, expressed through their lives in a variety of ways. And how they confront them varies from man to man, sometimes through baring the soul and sometimes through making the struggle a physical one. Each of them is in tears at some point. It's all rather intense, and extremely over-serious. But it's also a remarkably honest look at the way masculinity is expressed in American culture. And it's shot in a strikingly observational way that gets very, very personal. It's a view of male identity that's rarely if ever seen on-screen. I also watched the superb Irish drama Sanctuary and the acclaimed German thriller In the Fade starring Diane Kruger, as well as a couple of Christmas films, including the Victoria Christmas movie, Sarah Jessica Parker in The Family Stone (2005) and Jodie Foster's Home for the Holidays (1995), which I'd never seen before. 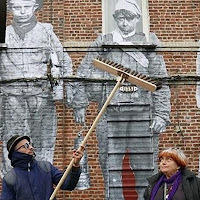 This quirky documentary teams up 88-year-old filmmaking icon Agnes Varda with 33-year-old artist JR as they travel spontaneously around France taking large-format photos and wallpapering them onto various enormous structures. Watching this is a delight, as these two lively figures spar with each other and explore the nature of art and culture. Agnes talks about her life and friendships, and constantly teases JR about the way he hides from the world, obscuring his name and personal life, and even his eyes behind sunglasses. And the people they photograph along the way capture a spark of life in very clever ways that have a big effect on onlookers. Powerful pictures include workers on different factory shifts reaching out to each other, wives of dock-workers towering above them, and Agnes' eyes and toes on train cars. 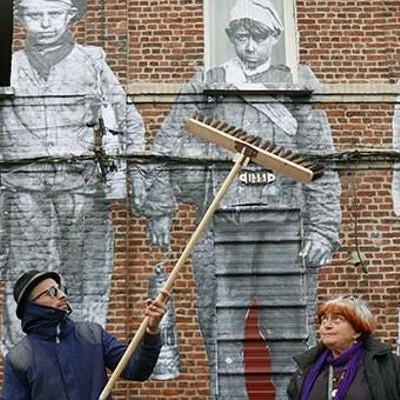 There is also a clever sense of history, with vintage images posted on appropriate surfaces. It's all a little meandering, and sometimes rather too clever to accept as just a random sequence of encounters. But the way it touches on French culture, the history of cinema and larger issues like globalisation is deeply involving. This coming week will be a chance to watch several screeners of films that were nominated in various awards I vote in. On my list are the docs Jane and The Work, the foreign films Raw and Aquarius, and late-in-the-year releases like Irish drama Sanctuary and German thriller In the Fade. It was pretty daring of Fox to release the animated movie Ferdinand this week, but for critics it was a welcome respite from Star Wars mania. The warm-heated core story is still there the beloved 1930s book and short, although it has been expanded with mindless action-comedy chaos. 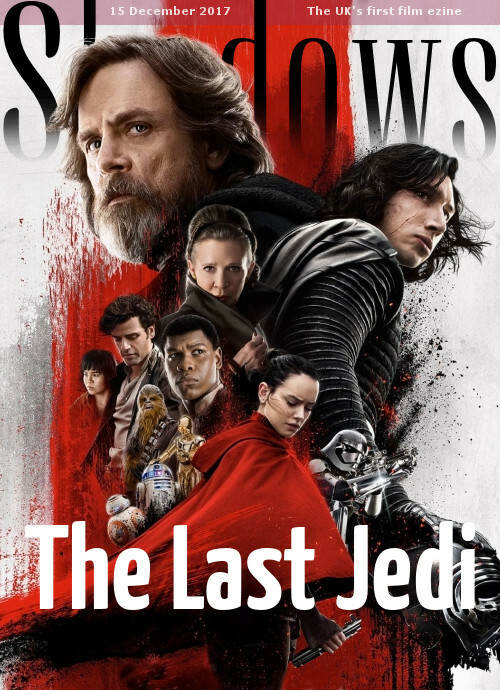 Meanwhile, the big news of course was the single press screening on Monday night of Star Wars Episode VIII: The Last Jedi, introduced by writer-director Rian Johnson. 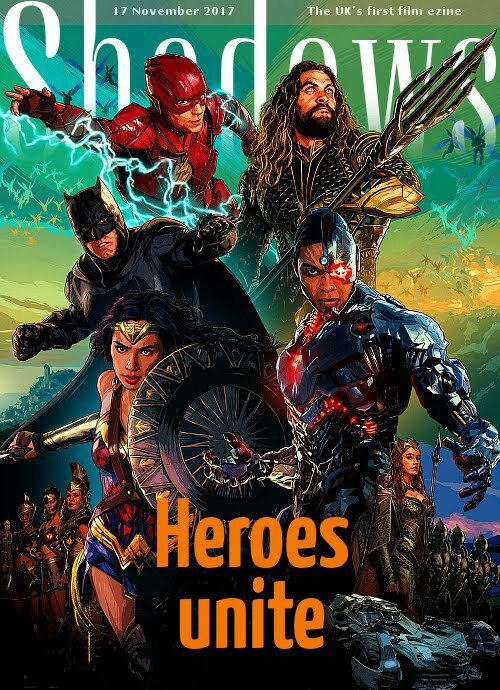 It's a massive, slightly over-intense two and a half hour battle epic packed with excellent characters and surprising connections. I also caught up with Margot Robbie's excellent performance in I, Tonya, a bitterly comical take on disgraced figure skater Tonya Harding. But there's an important point to the tone. 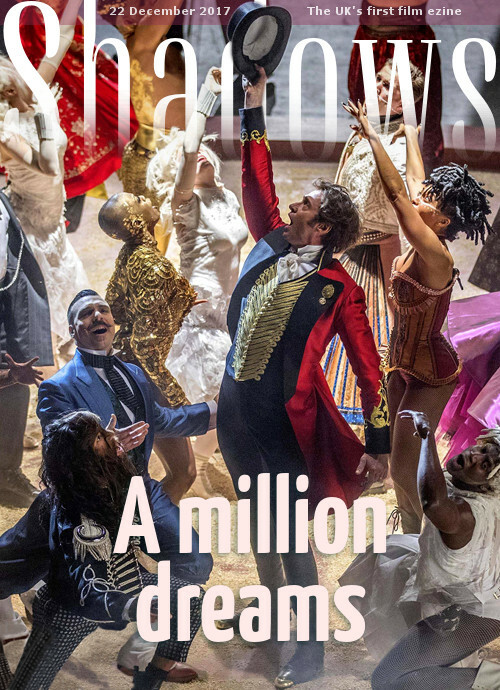 Hugh Jackman stars in the colourful musical The Greatest Showman, which tells the story of circus founder PT Barnum with great songs and elaborate choreography. Dwayne Johnson and Kevin Hart reteam for Jumanji: Welcome to the Jungle, a somewhat pointless reboot to the franchise, although it's at least energetic. And Liam Neeson continues in mindless action mode for The Commuter, a contrived thriller set on a train. Further afield, we had the offbeat British indie drama Beast, which tells a twisted story that's part romance and part thriller. And Peccadillo put out their latest compilation Boys on Film 17: Love Is the Drug, nine short films about desire. It's a very strong collection this time, with films made over the past five years. I only have a couple of screenings over the next couple of weeks, including Ridley Scott's All the Money in the World and Woody Allen's Wonder Wheel. But I still have quite a few awards-season screeners to catch up with as time allows. I'll prioritise the ones that pick up nominations. Meryl Streep and Tom Hanks are at the peak of their powers in The Post, Steven Spielberg's expertly made film about the release of Pentagon Papers in early-70s Washington DC. It's startlingly relevant. Christian Bale and Rosamund Pike are excellent in Hostiles, Scott Cooper's remarkably gritty, realistic Western. 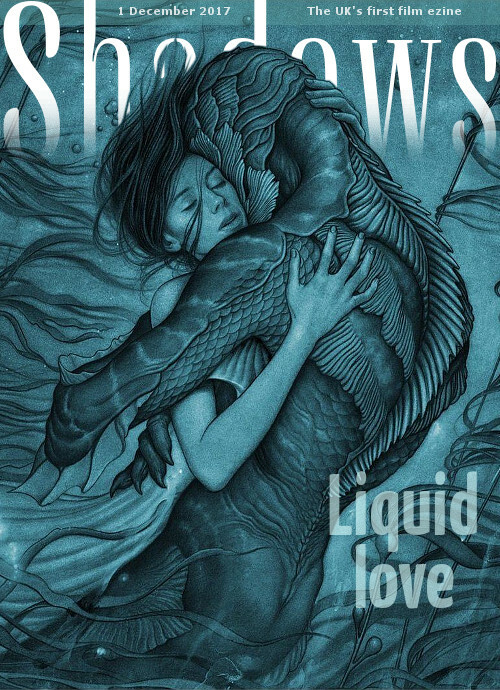 It beautifully tackles some huge issues. Claes Bang and Elisabeth Moss are terrific in the Cannes-winning Swedish black comedy The Square, which unapologetically takes on the art world. It's challenging and fiendishly clever. dir Sabaah Folayan; with Brittany Ferrell, Bassem Masri 17/US ***. 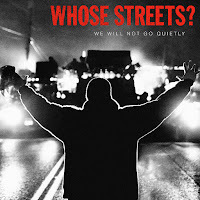 This documentary takes an intensely personal approach to the aftermath of the shooting of unarmed teen Mike Brown Jr by police in Ferguson, Missouri, in August 2014. Using firsthand interviews and extensive video footage of the events, it traces how the vigil turned into a peaceful march and then an activist movement demanding an end to racially charged policing. And also how this was met with a heavy-handed official response with heavily armed cops in militarised tanks. It's definitely not a one-sided film, condemning the looting and vandalism as well as how the media and police focus on that, ignoring the name of the victim. The springboard is Martin Luther King's statement that "a riot is the language of the unheard". Without ever getting shouty, the film is raw and angry. Although it gets a little bogged down in personal stories. These may be resonant, but they feel a bit off-topic. And as it follows years of investigations, riots, vigils and arrests, it also gets a little repetitive. Which is exactly the point. This coming week we have the hotly anticipated screening of Star Wars Episode VIII: The Last Jedi, plus Dwayne Johnson in Jumanji: Welcome to the Jungle, British drama Beast, Hungarian drama Jupiter's Moon, Brazilian drama Bingo: The King of the Mornings and the short film collection Boys on Film 17: Love Is the Drug. Since I travelled mid-week, my film viewing over the past few days was somewhat limited (I've already seen everything worth watching on the plane!). 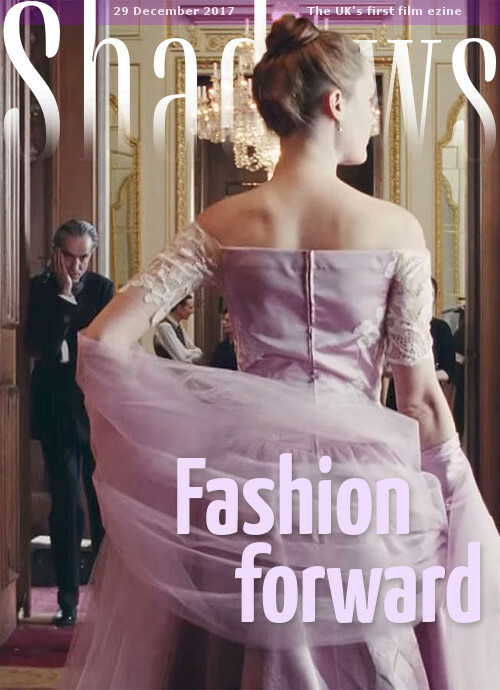 But before leaving Los Angeles, I caught an awards-season screening of Paul Thomas Anderson's Phantom Thread, starring Daniel Day-Lewis as a 1950s London dressmaker. It's tricky, twisty and utterly mesmerising. And James Franco's The Disaster Artist is a hugely entertaining look at the making of a terrible movie, which turns into an ode to the importance of following your dreams. The all-star cast is excellent, and a lot of fun. I also saw the family adventure Kepler's Dream, a rather simplistic TV-style movie that will appeal to undemanding audiences. It's boosted by the presence of Holland Taylor and Sean Patrick Flanery. And then there was the chance to revisit the 1969 Western Tell Them Willie Boy is Here, starring a surprisingly feisty Robert Redford. It's a complex ahead-of-its-time drama set in California's Native American community - riveting, emotional, challenging. Coming up this week: the Cannes winner The Square, the Hungarian drama Jupiter's Moon, Rupert Graves in Native and the British drama Beast. There are also a number of for-your-consideration awards screenings coming up. I've caught up with a few films while I've been out here in Los Angeles, in between binging on food at Thanksgiving time with the family. The best so far is Pixar's Coco, another triumph in both animation and storytelling. It's a riveting adventure with properly pungent emotional undertones and a fantastic sense of Latino culture. And the other two this week were good as well. Based on the bestselling novel, Wonder is a beautifully made film that grapples with how it feels to be an outsider - a must see for school kids and everyone else too. 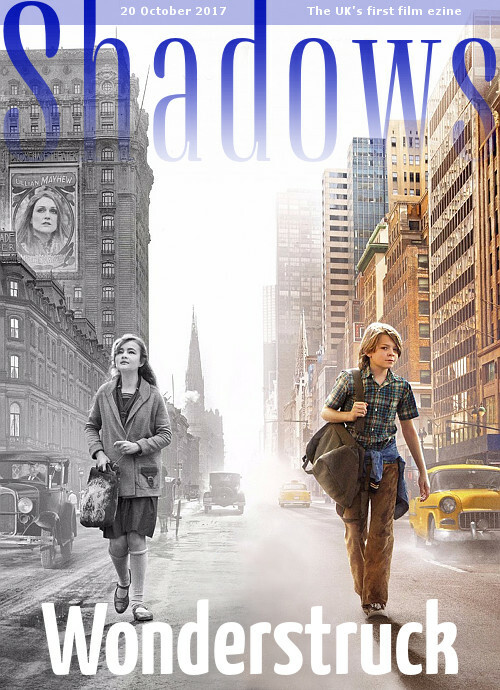 It features a terrific cast of kids, including Jacob Tremblay and Noah Jupe. And Greta Gerwig's Lady Bird is one of the most honest coming-of-age movies in recent memory, a messy, lively, funny, wrenching tale of a teen (the superb Saoirse Ronan) flexing her wings for the first time. Particularly strong support from Laurie Metcalf. I'm heading back to London this week, so am not sure what films are in store. Am hoping to catch an early screening of Paul Thomas Anderson's Phantom Thread, as well as James Franco's The Disaster Artist and the holiday horror Better Watch Out. I'm in Los Angeles this week visiting my parents for Thanksgiving and enjoying the warm late-November sunshine. There were no movies on the flight's entertainment system that even remotely tempted me, so I just watched TV comedies and documentaries. This gently loping drama never says anything terribly original, but it gives Sam Elliott a terrific role as an ageing actor facing up to both his life and his mortality. It's written and directed in a relaxed style that never challenges the audience, other than the usual cringe at an unlikely romance. But it's nicely shot, beautifully acted, the themes are never overstated, and it ends on a warmly ambiguous note. It was a disparate collection of movies this past week. The most obviously prestigious one was Darkest Hour, which chronicles the first month of Winston Churchill's first term as UK prime minister. It's a lavishly made film, anchored by a bullish performance from Gary Oldman. At the other end of the spectrum, Daddy's Home Two reunites Mark Wahlberg and Will Ferrell (plus Mel Gibson and John Lithgow as their dads) for a holiday comedy that's amusing without doing anything very new. More ambitious, The Dinner features strong performances from Richard Gere, Steve Coogan, Laura Linney and Rebecca Hall, although the film might be too tricky for its own good. There were also three more true stories. Josh Brolin and Miles Teller lead the firefighting drama Only the Brave, which gets a little too caught up in its heroic machismo. Colin Firth stars in the sailing adventure The Mercy, a riveting tale with an enigmatic core. And The Man With the Iron Heart is a great story of the Nazi resistance, thrown out of balance with its duelling plot-strands starring Jason Clarke, Rosamund Pike, Jack O' Connell and Jack Reynor. It seems rather early, but the holidays kicked off this week with the first festive movie, A Bad Moms Christmas, a sequel to last year's sweetly gross-out comedy with added grandmothers. More of the same, it's kind of the definition of mindless entertainment. 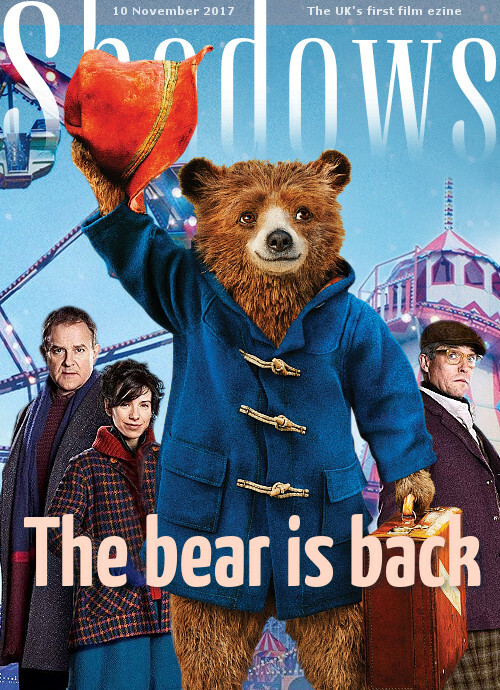 There was also a press screening for Paddington 2, which might actually be better than the wonderful original film. 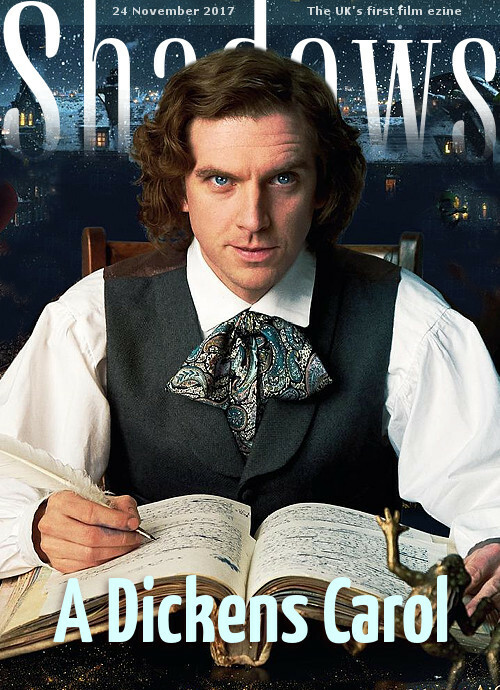 It's a pure delight, a great story with superb characters and a range of silly, surreal and razor-sharp comedy. 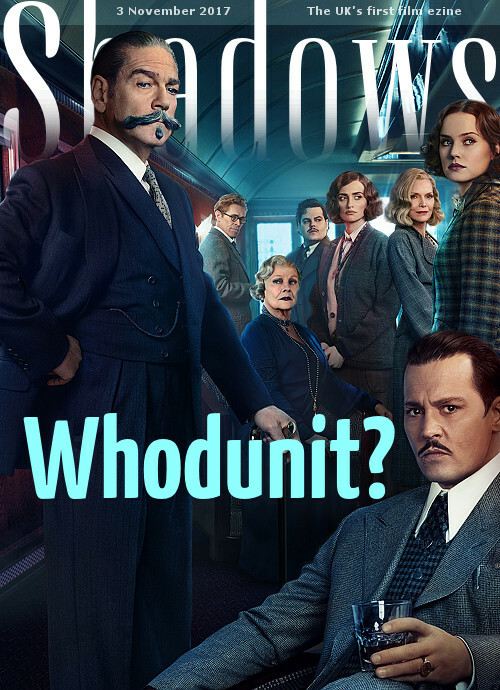 And I can't remember the last time I was invited to attend a premiere, but tonight I was at the Royal Albert Hall for the world premiere of Kenneth Branagh's remake of the Agatha Christie classic Murder on the Orient Express. It's a big, classy whodunit with a nice mix of comedy and emotion stirred in to add weight to the characters. The entire cast was at the premiere, including Branagh, Judi Dench, Johnny Depp, Michelle Pfeiffer, Penelope Cruz, Daisy Ridley, Olivia Colman, Josh Gad, Willem Dafoe and Derek Jacobi. There was also a spin on the zombie genre with the raucous office block black comedy Mayhem, as well as the remarkably straight-faced B-movie style bigfoot thriller Sightings. Plus two foreign films: the involving, mesmerising thriller Thelma from Norway and the movingly personal drama Santa and Andres from Cuba. And two docs: 78/52 gets into lots of enjoyable detail about how Hitchcock created that iconic shower scene, while The Freedom to Marry explores the activists at the centre of the Supreme Court's decision on marriage equality. 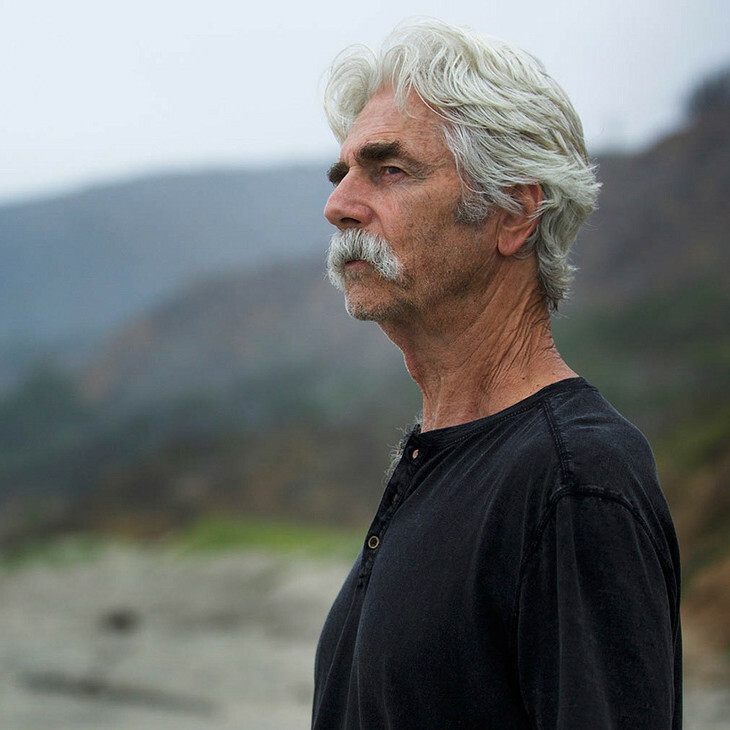 This coming week we have screenings of Josh Brolin in Only the Brave, Colin Firth in The Mercy, Richard Gere in The Dinner, Jon Bernthal in Sweet Virginia, Lee Pace in Revolt and Virginia Madsen in Better Watch Out. Films were a little more low-key this week, as studios continue their current trend of simply not screening the biggest releases (including Geostorm, The Lego Ninjago Movie, The Snowman, Flatliners, Kingsman: The Golden Circle, the forthcoming A Bad Moms Christmas). With some of these, I buy a ticket to see the movie so I can review it. Others I skip even though they feature favourite actors and filmmakers (perhaps I can catch up with The Mountain Between Us on a flight). Either way, it's rather frustrating that distributors are now telling us how to do our job, and sometimes forcing us to lose paying work. Basically, they have forgotten that we are part of the industry and treat us instead as one element in their PR plan. I'm afraid this is only going to get worse. Anyway, I only saw two films this week that featured mainstream stars. One was the gritty thriller Shot Caller, in which Game of Thrones' Nicolaj Coster-Waldau plays a banker sent to prison, where he becomes a criminal with the help of gang member Jon Bernthal (above). The other was the comedy Crash Pad with Domhnall Gleeson, Thomas Haden Church and Christina Applegate, corny but enjoyably silly. dir Hong Sangsoo; with Kwan Haehyo, Kim Minhee 17/Kor ***. With a blackly comical tone, Korean filmmaker Hong Sangsoo tells a witty tale of relational chaos centring around a man caught between the three women in his life. With its improvised dialog and extended takes shot in striking monochrome, this is a loose, entertaining film that continually surprises the audience with its tricky pacing and an elliptical style of storytelling that makes it feel like we've been here before. And the characters are hilariously messy. Coming up this next week, we have the eagerly awaited sequel Paddington 2, the star-packed remake Murder on the Orient Express, supernatural thriller Sightings, horror action movie Mayhem, Norwegian thriller Thelma, Cuban drama Santa & Andres, and the Psycho shower scene doc 78/52. 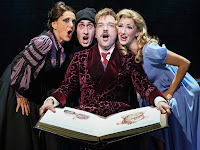 Mel Brooks adapts his own classic film (one of my all-time favourites) into this rather nutty musical, which opened in the West End last week. It's basically the movie with added songs that stretch out some of the more iconic moments, and the characters are all played by a skilled singing-dancing cast exactly like their big screen counterparts. Perhaps the film is so indelible that there's no other way to play these roles - they wouldn't be as funny it they didn't hark back to the great Gene Wilder, Madeleine Kahn, Teri Garr, Cloris Leachman, Marty Feldman, Peter Boyle, Kenneth Mars, Gene Hackman. The material is robust enough to handle this transition - the film's best jokes are still funny on stage. And the emotional kick is here too, even if it's somewhat diluted by the extra razzle dazzle. 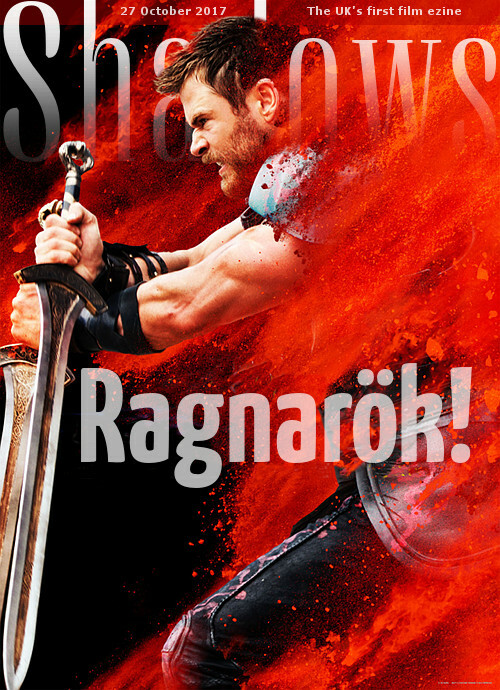 I'll probably go see it again. 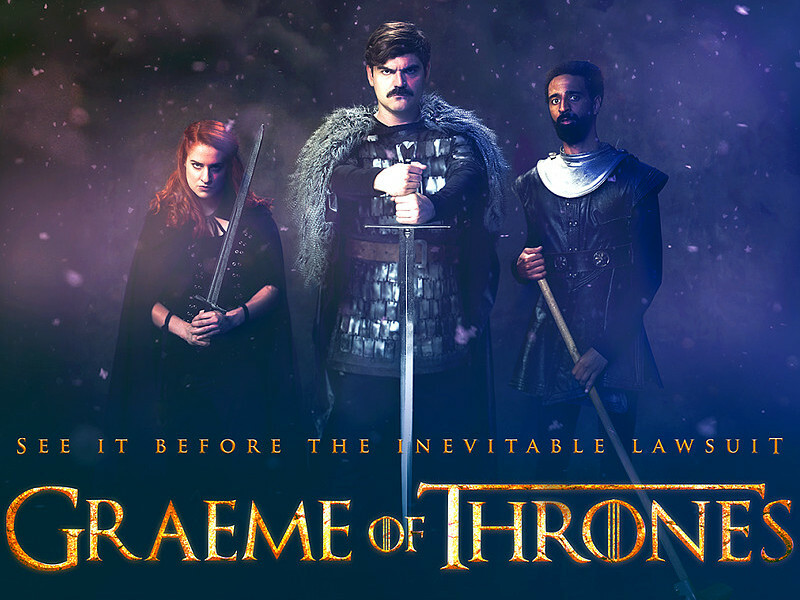 The subject up for satire is obvious, but this fringe show takes an amusingly fresh approach that is actually poking fun at fringe shows themselves. 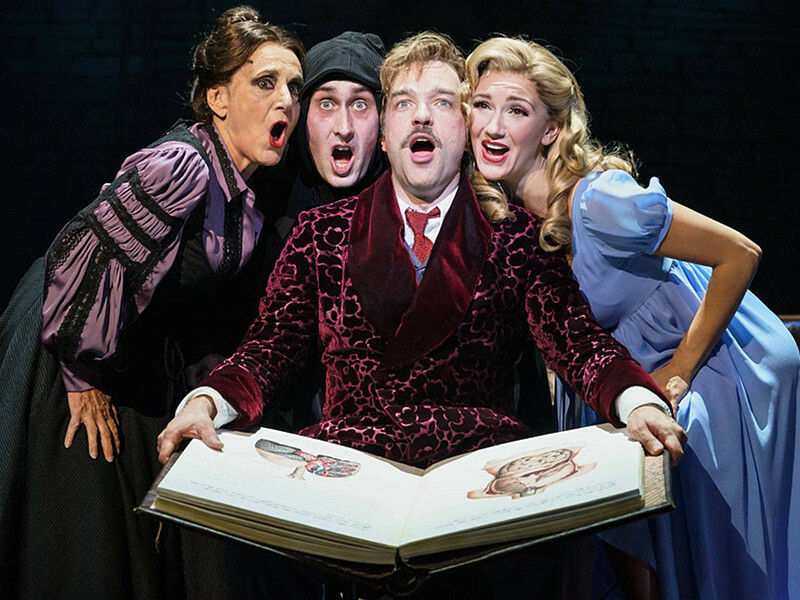 The three-person cast is up for quite a lot of riotous silliness, with physical slapstick, wordplay and lots of sight gags. Their rendition of the series' opening titles is impeccably ridiculous. Fans of the TV show will get all of the jokes, which include spoilers right up to the latest season. And there are plenty of gems thrown in all the way through for a wider audience, especially the performance art pieces that come out of nowhere with their delirious absurdity. Some of the humour strains a bit, but most gags hit the target astutely. 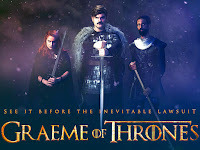 And by the end, the sloppy "let's put on a show" vibe means that we're rooting for all three of these scruffy actors (plus one game audience member) to claim the Iron Throne. Coming up this next week, we have Nicolaj Coster-Waldau in Shot Caller, Domhnall Gleeson in Crash Pad, British thriller Palace of Fun and Aussie coming-of-age drama Teenage Kicks. A fly-on-the-wall look at prolific Afghan filmmaker Salim Shaheen, this documentary is both playful and chilling in the way it explores the life of a colourful man and a nation's momentous history. French-Swiss journalist Sonia Kronlund follows Shaheen into some rarely seen parts of Afghanistan, which he calls "Nothingwood" due to his no-budget filmmaking style. It's an entertaining and eye-opening film. A fast-paced, skilful portrait of an artist who isn't very well-known outside fashion circles, this film is infused with the sensuality of its 1970s period. Through lively, expressive interviews and a wealth of footage and stills, Antonio Lopez springs to life before our eyes, making us wish we had a chance to get to know him, because he seems like someone we'd probably fall in love with just like everyone else did. This singular thriller by Lynne Ramsay is like a slap across the face, a fresh approach to the genre. It's also unapologetically an arthouse film, demanding a lot from the audience as it presents a swirl of imagery and sound that says a lot about the central character without being obvious about it. Anchored by a burly-bear performance from Joaquin Phoenix, it's definitely not an easy film, but it isn't easy to shake. An exploration of the yearning to find that elusive one true love, this astutely observed film is funny, charming, beautiful and sad. But it's never remotely sentimental, thanks to filmmaker Claire Denis' razor-sharp approach. It's also elevated by a sharply honest performance from Juliette Binoche as a woman seeking the love of her life. dir Lucas Belvaux; with Emilie Dequenne, Andre Dussollier 17/Fr ***. With an earthy sense of authenticity, this drama takes a controversial approach to French politics. There's an urgency to the premise that shifts this from a gently pointed drama into something rather darker and scarier. All of which makes it perhaps a little muddled, but the film highlights the insidious idea that both politicians and bigots are happy to change strategies if they have a chance of winning, but they'll never change their goals. Based on a true story, this dark, stylish thriller builds dramatic suspense as it chronicles a serial killer in a small Hungarian town. Revealing the cold-blooded murderer from the start, the film sometimes feels a bit draggy as we wait for the cops to connect the dots, but it's packed with terrific characters who are conflicted and relatable. dir-scr Tarik Saleh; with Fares Fares, Mari Malek 17/Swe ***. This Cairo-set police thriller is perhaps too elusive to properly grip the audience, but it's a striking portrait of a culture that seems to ignore every rule of law. Shot in an offbeat style, the story's most momentous moments are shot in an almost throwaway style, which makes it an intriguing challenge to know who or what is important. This also provides some nasty gut-punches along the way to the requisite shocking finale. dir Warwick Thornton; with Sam Neill, Hamilton Morris 17/Aus ***. This well-produced drama about South Africa's Truth and Reconciliation Commission feels somewhat dated, as this kind of story has been told in plenty of movies over the past 20 years. But strong performances from an international cast raise the interest level, and it's a vivid exploration of forgiveness that transcends some rather sentimental storytelling. dir Diego Lerman; with Barbara Lennie, Yanina Avila 17/Arg **. From Argentina, this dark drama is intriguing enough to hold the interest, but it loses the audience's sympathy along the way. With a central character whose specific issues are only superficially defined, much of what happens feels infuriating, which is a problem for a movie that's straining so hard to be emotionally wrenching. Even so, filmmaker Diego Luna has an eye for characters and settings, so he draws us in to the dilemma and its implications. dir Semih Kaplanoglu; with Jean-Marc Barr, Ermin Bravo 17/Tur ***. With a gorgeous visual sensibility augmented by expansive monochrome cinematography, this Turkish odyssey explores big issues about the future of humanity through a meandering narrative following a man across a dystopian landscape. It's a bit obtuse at times, dipping into allegorical surrealism and arthouse nuttiness, but it's also utterly riveting, both for its epic plot and its big ideas. Possibly the least surreal thriller yet from Greek filmmaker Yorgos Lanthimos, which isn't saying much, this movie verges on horror as it pushes its characters right to the brink. The story builds quietly, layering in a variety of issues that continually compel the audience to make decisions about the rather unhinged people on-screen. And while the ultimate message is perhaps a little muddled, it definitely gets us thinking. With a tightly focussed script, this film feels perhaps a bit slight, like a short stretched to feature length. But it skilfully captures a sense of real life for these characters caught in an extraordinary situation. And it avoids the usual boxing movie cliches for something much more internalised. Paddy Considine shines as writer, director and star, but it's a striking supporting performance from Jodie Whittaker that pulls the audience in. dir-scr Sophie Brooks, with Zosia Mamet, Matthew Shear 17/US **. A fairly straightforward rom-com livened up by some structural editing, this film takes the rather tired position that no young woman is complete until she finds the perfect man to grow old with. Otherwise, it's smart and engaging, with characters who are easy to identify with and a nice sense of awkward energy as they try to interact. Easy to watch, and never remotely challenging. A slow-burning lament about corruption and injustice in China, Vivian Qu's dramatic thriller is warm, steely and packed with conflicted characters from a variety of generations. It's sometimes so morally complex that it makes the viewer's head spin, not because we don't know what's right, but because everyone is so good at sidestepping around it. Written in 1993, Roy Budd's magnificent original score finally had its world premiere some 24 years later, performed live at the London Coliseum by the Docklands Sinfonia Orchestra with a print of the film that has been restored with its original colour-tinting. To call this screening a triumph is an understatement. It was the perfect combination of venue, live music and an iconic film that's still surprisingly freaky nearly a century after it was made.